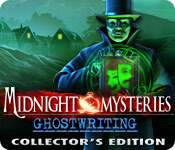 Midnight Mysteries: Ghostwriting Collector's Edition is rated 3.7 out of 5 by 71. Rated 5 out of 5 by Robcol from This game is awesome Thank you developers. It is fun, challenging (for very tough puzzles), the graphics are superb it is a keeper. Rated 5 out of 5 by J9CT from STILL ONE OF MY FAVOURITES!!!! I just did a review for Devil on the Mississippi and realised that I haven't done one yet for Ghostwriting and its one of my favourites. I've had this game for over a year or maybe a bit longer and I always go back to play it again. It is not easy at all finding the clovers and I love it!!!! Love the graphics, storyline, HO's, puzzles, raven and bonus chapter. Total recommend this game!!!! Rated 5 out of 5 by Yurnmesis from Overall a great game. Worth your time and money. Excellent graphics, HO games and mini games! Overall a 5 game! The storyline based on literature was very interesting and often the unexpected occurs. I thought it a great change of pace from the macabre and sinister. A book held by the villain transports you to a different literary chapter which was entertaining. Shadow graphics is a mini-game you play occasionally to advance. You have to place people, items and locals in the right order to move on to the next shadow graphics and it wasn’t difficult but it was unique. Experiences in HO and mini games are sometimes surprising and very well developed. The bonus game was well done and just as enjoyable as the rest of the game. This game was a pleasure to play through and fun to see what was around the next corner. Rated 5 out of 5 by Zurreen from Wonderful Game - Highly recommend it! I really enjoyed this game. It is definitely a rare combination of everything good. Graphics were great; the storyline original and gripping; and the puzzles and hidden-object scenes just right -- in both the number and solvability (none of those HO scenes where you are squinting to try to find an object from the list!). Also, a lot of HO games have so many HO scenes and puzzles that makes gamers lose track of the storyline, or at least just where they were in that storyline! All the Collector's Edition games I have ever played especially tend to suffer from this problem: they fill the game with so many Achievements that they overwhelm the gamer. It's a challenge to even remember the storyline while trying to get all those achievements that really add nothing but frustration to the game. But this game (Midnight Mysteries: Ghostwriting CE) suffers from NONE of these "hazards." It has just the right number of HO scenes, puzzles and Achievements. In short, I really loved this game! 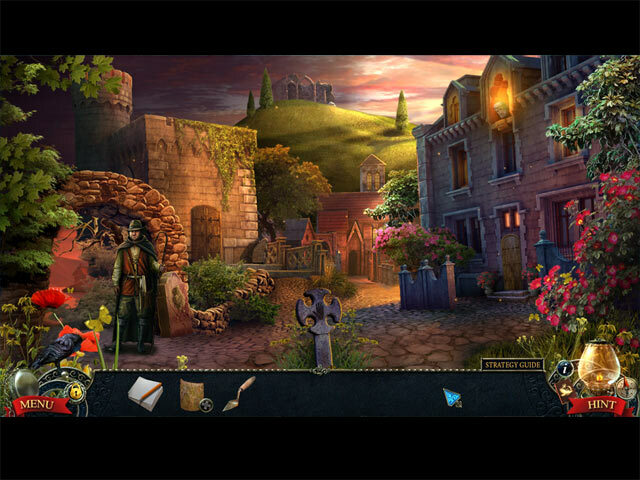 It was definitely the BEST Midnight Mysteries game and, quite likely, the best HIDDEN OBJECT game I ever played. My highest compliments to the Developers! Great job indeed, guys!!! And I do hope you will make more games like this in the future too!!! Rated 5 out of 5 by tutortime from Did not disappoint . Love the series. Great game. The bonus chapter seemed a bit short, but the scenes were new and different. Rated 5 out of 5 by krystal59 from Best one so far!! And I have them all. This one was a little less focused on historical American figures and a lot more focused on fun. Loved the special effects.. figures zipping into books, statues singing and exploding pumpkins just to name a few. Same collectible clovers with the addition of collectible gold coins that drop down from a chain every time you find one. Also a good selection of achievements. There was a fair amount of interaction with many different characters. The graphics here were really beautiful. There was one scene with some row houses and a horse and carriage that was so detailed I had to stop and admire it for a few minutes. But the best part for me was the mini games and there were lots of them. Not your average turn the pipes.. these were pretty imaginative. Loved the board game and the on going stage game where you had to put the pieces in order. I will say that the bonus chapter was not the most exciting I've ever played but the game itself was quite good. So I am happy to recommend this one. It was a ton of fun. Oh and the other best part.. no one went missing or was kidnapped. That storyline has been so done to death that it makes me reconsider the purchase. In this game you must discover which character in the writer's books has come to life, turned evil and is trying to usurp him. Interesting. Rated 5 out of 5 by radarsweet from Another Winner in This Series! The Midnight Mystery Series has got to be my favorite. I've played them all, & unlike some game series, they continue to improve! This game has it all, with a few bonuses thrown in. The gameplay is exciting & at times tense; as with the others in this series, time travel is essential in the game. This time we travel through books. If you love American Classic literature, you'll love this game! 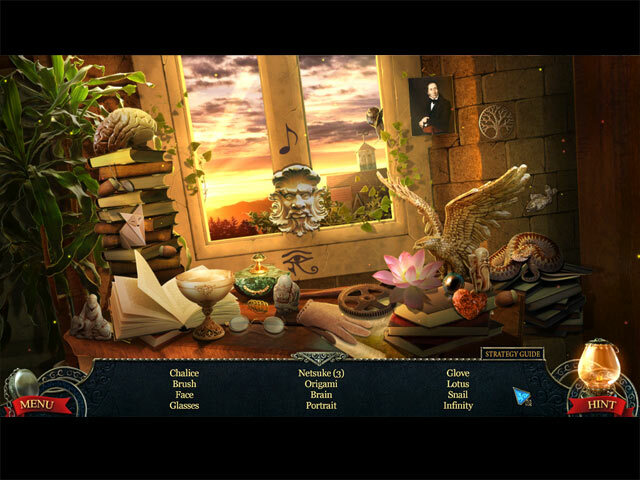 There are various kinds of Hidden Object puzzles; most have been used before. But the entire game involves interactive play, whether it's talking to characters, or finding items with which to move on. Our old friend the Crow [Raven] is back to help us along. There are also collectables, which gives a bit of added challenge to the game. Just enjoy this latest installment in this series. It's a lot of fun, & keeps one curious to the end. When I finished, I was wishing it could have gone on longer! 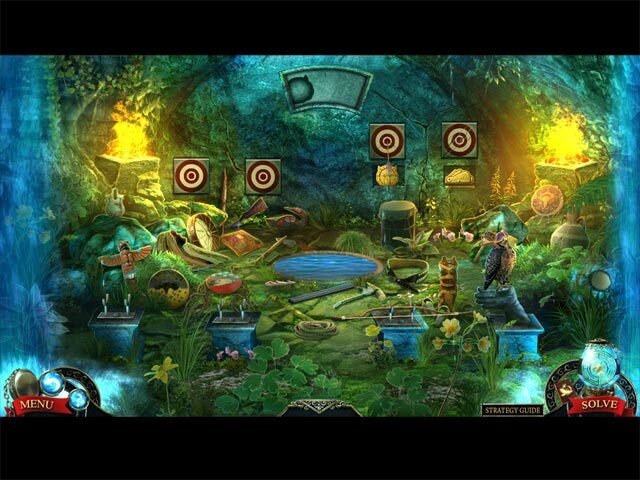 Rated 5 out of 5 by dragonlor from Another great Midnight Mysteries game Enjoyed this game a lot. I have all the others in the series. This one is very good. Like the collectables in the CE. The only thing I didn't like was the singing and way too much talking by characters. All in all a good game. Nice puzzles. Good hidden objects. Just what I want. Rated 5 out of 5 by Alexia67 from Great Game A lot of fun and very long. Really enjoyed the game. Never review but this one had everything. If you want a lot of HO not your game. Rated 5 out of 5 by FionaPa from Intelligent and original HOP adventure game The storyline of this game is refreshing and original. A nice way of honouring and spreading awareness of the works of Charles Dickens. The villain was also an original and many of the puzzles were good challenges. Highly recommended.